WHEN the managing director of The Canberra Times, Ian Meikle, told Michelle Grattan on Wednesday afternoon that she was sacked as editor of The Canberra Times and should leave the premises, he suggested a monetary settlement. Grattan refused. “I don’t want to salve their consciences,” she said privately later. It’s one of the things those who admire Grattan learn to accept without demur. The extremism. The strict and idealistic private code of ethics. Grattan – workaholic, fanatically devoted to journalism to the extent of never taking holidays except to tidy up her latest book on politics, who will wake up ministers at 3 am to check a fact – is an extraordinary woman. GRATTAN had been disturbed for some time that her paper, The Age, was taking a direction she could not accept under its new editor, Alan Kohler, who was determined to change her dominant role on the paper in Federal political coverage. She was thrown by the loss of certainty of her pre-eminent place in The Age, whose values she had come to symbolise, and believed, perhaps wrongly, that Conrad Black’s management wanted to drive her out. 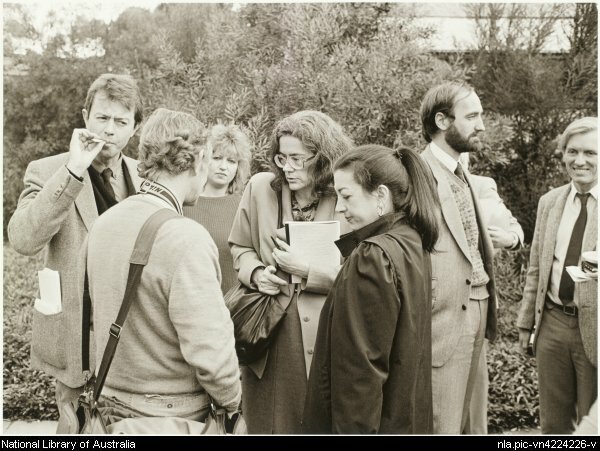 Grattan saw her chance to break free when The Canberra Times editor, David Armstrong, suddenly resigned for an overseas post. She approached the owner, Western Australian businessman Kerry Stokes, and offered herself for the job. Her vision was a serious paper with national influence. She believed she was risking all and that failure would destroy her reputation. She was not prepared to fail. Her demands: a five-year commitment and Stokes’s promise to fund six more reporters. Stokes desired a national profile and East Coast respectability. He said yes. Grattan refused to take what would have been a six-figure redundancy from The Age. “I didn’t want to give them the satisfaction of saying I was redundant,” she said then. The Canberra Times news staff and management were profoundly shocked, as was The Age. Canberra is still a small town, The Times having a circulation of 41,000. The editorial staff is dominated by people who had joined young and intended to stay for life. It was a family, doing what they could, and succeeding sometimes, to achieve quality no other paper with their circulation even wanted to achieve – but an unambitious paper nonetheless. Suddenly cameras descended on the newsroom. 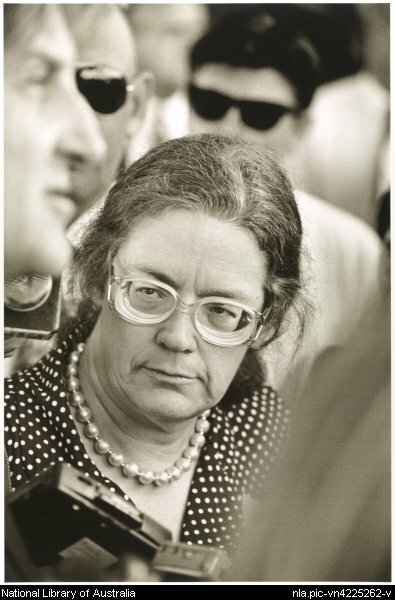 Grattan was all over the media, the first female editor of a quality daily. Everyone knew things were about to change dramatically. There was fear the mediocre would lose their jobs and fear in some quarters of answering to a woman. The clash of big-time aims and a small-time culture began. From almost unanimous disapproval, staff sources estimate, she had won over 50 per cent of them when she was sacked through her relentless drive for excellence and her personal decency. But the going was tough. Grattan approached potential recruits, offering the same salary they were on to move from major dailies to her. She warned that she would not do the usual thing a new outside editor does: shake up positions, make some people redundant and appoint her supporters to key posts. She told them they were never to use the word “provincial” again to describe The Canberra Times and that they could expect no special treatment. She wanted to build on the newspaper’s culture, not transform it, she said. At a gala dinner at the Lobby to farewell Grattan from the press gallery, Stokes found himself surrounded at the head table by Gough Whitlam, Bill Hayden, John Hewson and John Howard. He outlined a vision of a truly independent, Australian-owned daily of high quality. The experiment began. GRATTAN lasted two years. She came to it at a time of a dramatic slump in circulation. She worked seven days a week, often from 7 am to midnight. She drove her staff as hard. Editorial management used to a laid-back, forgiving style were overwhelmed. She radically changed the focus to national issues, calling in years of political favours to attract senior politicians, academics, and experts to write for her for nothing. She picked up disillusioned journalists cast aside in shake-ups at Fairfax for next to nothing, brought in Max Prisk, former editor of The Sydney Morning Herald who had worked on The Canberra Times, to transform the look of the paper. Now and then her paper looked as good or even better than the majors on a fraction of the resources. Grattan’s inability to delegate created problems. The way she saw it, the paper was now her public face on Federal politics. Her columns became the political editorials. She refused to allow anyone else to edit the paper, even on a Sunday. She traumatised the subeditors by refusing to accept their claims that they had little enough time to process copy, let alone clean it up. She put them under enormous pressure with lastminute changes close to deadline. Yet she remained shy, horrified at personal confrontation, and would not call those who destabilised her into line. The big breach in the office was the almost unanimous feeling amongst staff that Grattan was ignoring local issues. The paper inevitably led with national political stories. She downplayed the Raiders, Canberra’s football obsession. And despite all her efforts to make old Times staff feel comfortable, including what many believed to be the fatal error of not shaking up senior positions, feelings ran high that her recruits, dubbed the “Melbourne Mafia”, were all she really cared for. Almost from the beginning, Meikle wanted her out. Grattan’s arrival had changed the public face of The Times, with Stokes’s total support. For the first time, the owner became involved in the paper, rather than leaving it to Meikle. Circulation figures had officially risen slightly by last September, but sources say that for a long time before her arrival, they were subjected to extreme massaging. The same sources believed that whatever the next official figures said, circulation was falling again, coinciding with a rise in public complaints that they were not getting local news. Seasoned Canberra Times staff and observers believe it had come to the stage where either Meikle or Grattan had to take the fall. Stokes chose Grattan. THE beginning of the end came a month ago. Stokes’s profile had risen dramatically since Grattan’s arrival, culminating in his delivery of the Boyer lectures last year. Grattan sensed a change in Stokes’s attitude at their last meeting then, despite his assurance that he was happy with the direction of the paper. Stokes read the paper every day and was always full of ideas for improvement of business, sport, and other coverage. But Stokes was not prepred to heavily subsidise the Times to fulfil his vision. He expected Grattan to produce on all fronts with limited financial resources. It could not be done, although Grattan tried hard to do so against great internal resistance. The Herald’s Alan Ramsey, a friend and colleague of Grattan’s, made this judgment: “I think Michelle lost sight of the fact she was editing The Canberra Times and not the Melbourne Age. “The Times isn’t a major city daily like The Age, which had previously been her entire working life. It’s a regional newspaper that can’t afford to alienate readers; they’re too hard to replace in a town the size of Canberra with so many competitors. And I think she was in danger of doing that by an over-emphasis on national news. “As you know, you can buy any one of six papers every morning in Canberra. The Canberra Times is the only local paper. The other five come in from Sydney or Melbourne, and Michelle, I think, wanted to compete with them on their terms, not hers. She wanted to be another Age, giving a lot of the same news the same emphasis and perspective. Yet local news HAS to be the absolute staple of papers like The Canberra Times, and I don’t think Michelle ever accepted that. Meikle sources say it was decided at a board meeting three weeks ago to remove Grattan as editor and that Stokes gave Meikle power to deal with the matter as he saw fit. Rumours of this are believed to have reached senior business and political circles days before the sacking. Stokes was absent in Perth and has made no contact then or since with Grattan. At 6 pm on Wednesday her statement started floating around. It was the first time she has ever gone public on internal details of her private life. It is believed the trigger was Stokes’s failure to tell her himself, explain his reasons or offer her the chance to bow out with grace. The statement went on: “Mr Meikle gave as the reason the fact the board wanted to move to a more city-based mass paper. He said that I ran the risk of being frustrated by being over-qualified. “Disappointingly, Mr Stokes chose not to be present to convey to me personally the decision that he and the board had taken. It was said he had had to fly off to another meeting. There was a ripple of applause. Some cried; others were delighted. But the overwhelming view was that the handling of her sacking was unacceptable. At a stop-work meeting in the newsroom, most staff demanded a walkout in protest. Grattan asked them not to. In an unprecedented move for The Times, which does not strike, staff issued a statement saying they “decided against striking at the specific request of Ms Grattan”. They expressed “disgust” at the manner of the sacking. Grattan left the building at 8.30 pm. When news of the sacking of Australia’s first female editor of a metropolitan daily hit the Federal press gallery, it had the same effect as major political news. It brought people into the corridors. There were tears. Within minutes everyone in Parliament House knew. Politicians started asking how and why. The grandest of visions had dissolved. I think she identified with KRudd because of this incident. However a decision by caucus for the good of the party and the country is not the same situation as Michelle Grattan was dealt. I hope she eventually comes to see that.